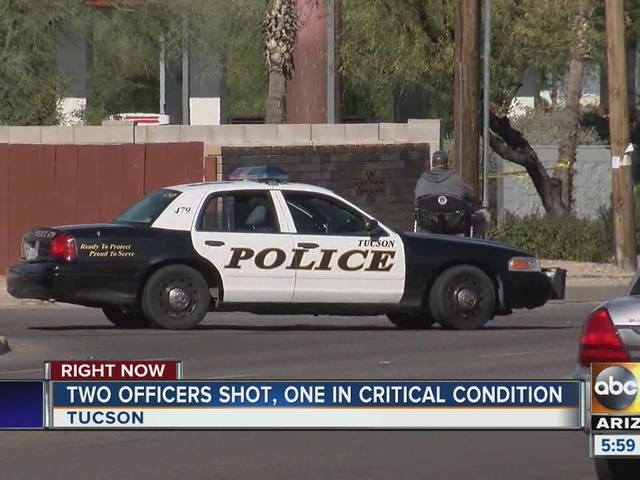 The Tucson Police Department says two officers were shot by a suspect Thursday morning. Officers Doug Wilfert and Jorge Tequida were searching for a wanted suspect in the area of Campbell Avenue and Irvington Road around 7 a.m. The suspect had an active felony warrant for aggravated assault with a dangerous instrument. Officers found the suspect inside a unit of an apartment complex near that address and attempted to take him into custody. 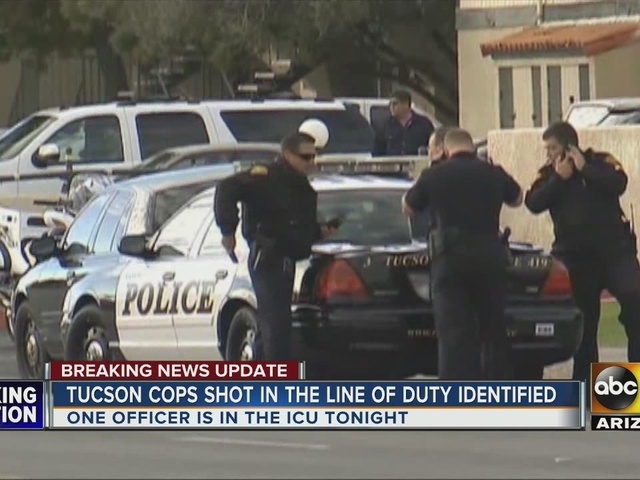 When they tried to do so, the suspect started shooting at officers, according to a news release from the Tucson Police Department. The suspect and both officers were shot during the exchange. The suspect was pronounced dead at the scene and both officers were taken to Banner University Medical Center. Officer Wilfert was shot in the leg and has since been released from the hospital, according to a police spokesman. Officer Tequida was hit in the shoulder and the bullet continued into his chest. He was taken into surgery and is in intensive care with serious injuries. 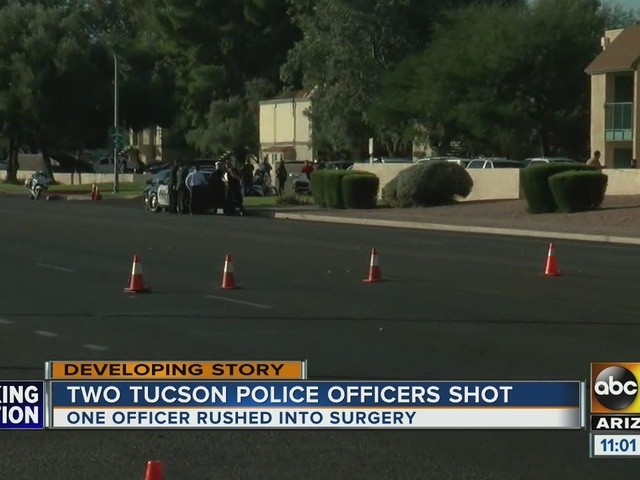 Tucson Police Chief Chris Magnus credits the officer's bulletproof vest for saving his life. Wilfert has been with the department for seven years, and Tequida for a little less than four years, police said. Thursday night the suspect was identified as 27-year-old Jose N. Barron Gomez. The department's violent crimes division is handling the criminal investigation, while its office of professional standards will look into the actions of department personnel during the shooting.